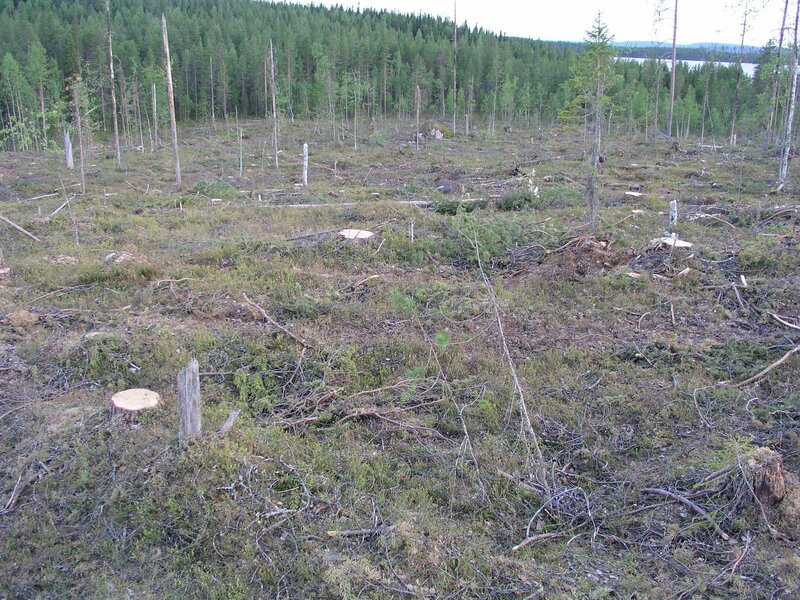 The Swedish Society for Nature Conservation (SSNC) and Greenpeace Nordic recently filed a formal complaint with FSC about the logging operations of SCA in northern Sweden. SSNC and Greenpeace Nordic’s press release is posted below. The organisations are demanding that SCA’s certificate be withdrawn. SGS Qualifor is responsible for monitoring whether SCA complies with FSC’s standards. Certifying bodies are not supposed to issue certificates based on hoped for improvements at some point in the future. SSNC and Greenpeace’s monitoring of SCA, which seems to be considerably more thorough than that of SGS Qualifor, reveals that SCA’s operations still do not comply with FSC’s Principles and Criteria. It also reveals the hopeless inadequacy of the FSC complaints system – when a company can continue its destructive logging even after a formal complaint has been made. 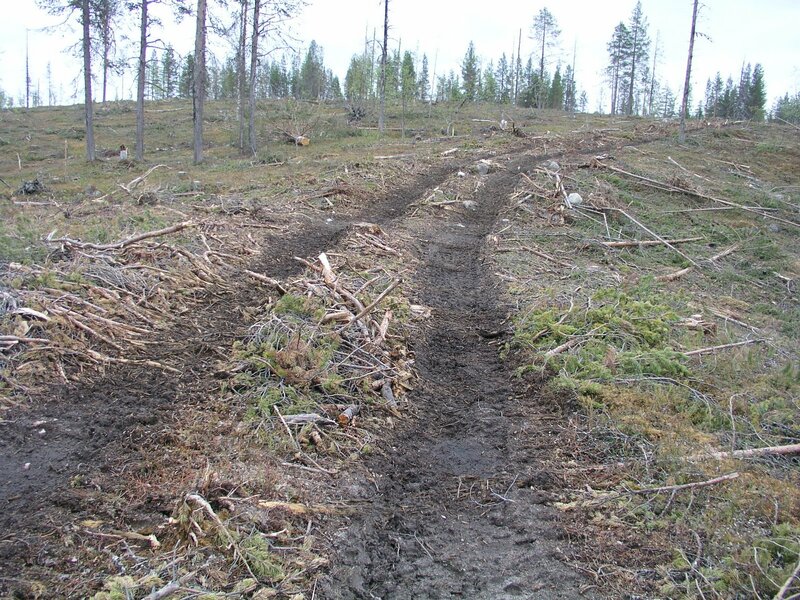 The Swedish Society for Nature Conservation (SSNC) and Greenpeace Nordic have filed a joint formal complaint against SCA regarding two clear-cut loggings in northernmost Sweden. The environmental organizations have listed more than one hundred violations of the FSC standard and have noted a large number of findings of red-listed species in each of the two sites. 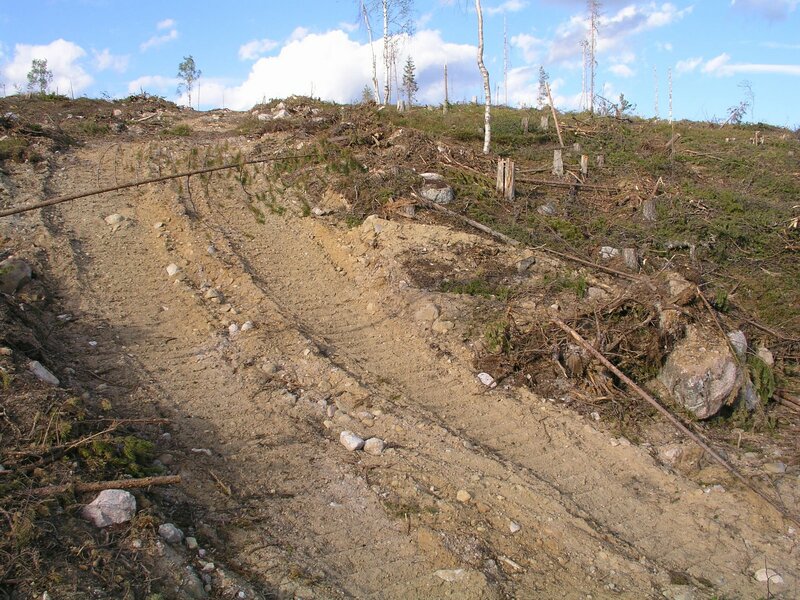 At Ratnivaara, about 30 kilometers south of Gällivare and in Norrmyrberget, 12 kilometers south-west from Vuollerim Greenpeace activists have revealed a large number of violations against the environmental rules of the FSC-standard that SCA has promised to comply with. “This is another example of the insufficiency of SCA’s routines and knowledge. We think that the company should loose its certificate for FSC-labeling to fundamentally change its attitude and knowledge,” says Mikael Karlsson, chair of the SSNC. 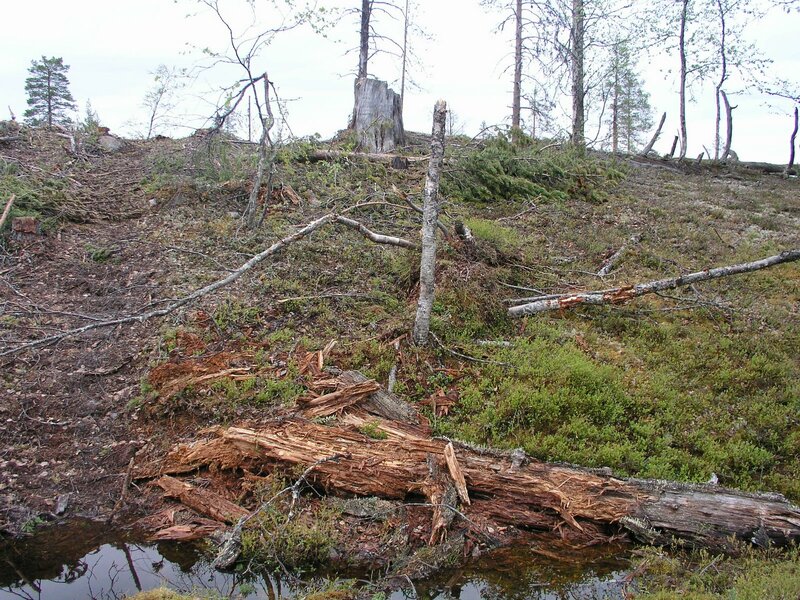 At Ratnivaara there is an area of about 80 hectares ancient pine forest of which 33 hectares have been logged so far and the rest is marked for logging. 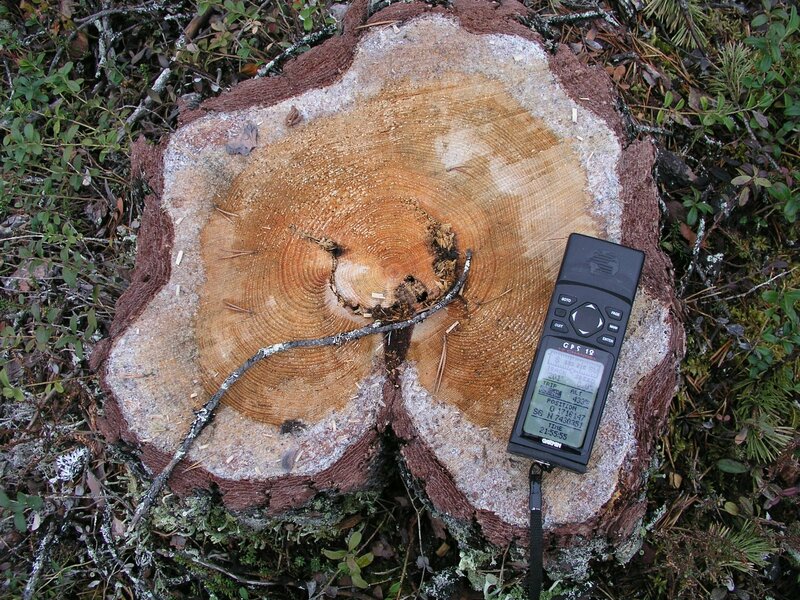 At Norrmyrberget in the municipality if Jokkmokk, SCA has logged 28 hectares of natural mixed coniferous and deciduous forest with abundance of dead wood. Natural forests of considerable age and high protection value have been clear-cut. Nature values have been destroyed for ever. 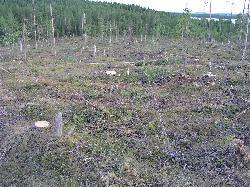 A large number of findings of remnants of red-listed species have been made in the clear-cut areas. Special consideration to such species should be taken according to FSC. 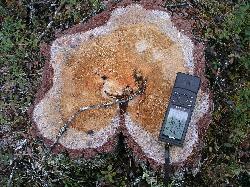 39 findings of red-listed species were made in Ratnivaara and 29 in Norrmyrberget. Special consideration has not been taken to small habitats with special biodiversity values. High biodiversity trees have been logged. 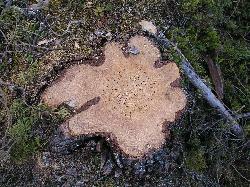 Dead trees that are important for biodiversity have been run over and damaged by harvesters. SCA is already involved in a process where the company’s certificate for FSC-labeling is reviewed. This review was finished last Friday, just after SSNC’s and Greenpeace’s filed their formal complaint. The certifying organization is requested to take the new information into account. “Altogether the violations to the FSC-standard found here are very serious, it is remarkable that a company that is being reviewed for several violations to the FSC-standard during the passed year can’t avoid new wrongs,” says Mirjam Lööf forest campaigner at the SSNC. 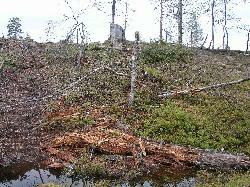 “What we saw at Ratnivaara was a forest that should have been protected for the future. That a company can sell wood from this forest and claim that as certified is cheating the companies and consumers who trust the labeling,” says Amanda Tas forest campaigner at Greenpeace Nordic. 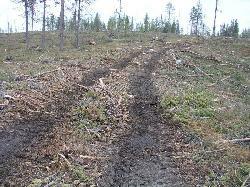 More photos from SCA’s logging at Ratnivaara are available by clicking here. More photos from SCA’s logging at Norrmyrberget are available by clicking here.